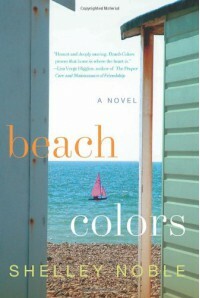 With a name like "Beach Colors", you can just about bet you have found a perfect beach read! And this book delivered on that score!! A woman taken to the cleaners by her psychotic ex goes back 'home' to the beach house she grew up in, reconnects with her old friends and even an old (kinda) flame who just happens to be the chief of police with the responsibility of raising his orphaned nephew whose living with his mother. Connor has only spoken in whispers since his mother abandoned him and his father died in the war. Guess what? Miraculously he begins to speak aloud shortly after meeting Margaux and forming an instant bond with her. Of course, the psychotic ex has to show back up in one scene but is swiftly run off by the hunky chief. Margaux was a famous fashion designer in New York City but just as quickly is destitute after the ex wipes out all their assets. Her success as a fashion designer was always based on her 'black' designs, but after arriving in Crescent Cove, she begins to design and 'see' in color again. She begins work on a new design portfolio enlisting the help of her mother & friends, the chief's mother who just happens to be a great seamstress, and her beautician landlady who was one of my favorite characters in this book. Surprise, surprise....after a successful runway showing of her new designs and the opening of a boutique that is masterfully thrown together at the last minute, she receives a call from a famous New York City design executive who just happens to want her to work with him! So back to New York City she goes; she's just not sure that life in the small beach community is for her. It doesn't take very long for her to realize she is not the same person and cannot live without Nick or Connor in her life. She hightails it back to Crescent Cove with her family, friends, and new loves, where in the end....they live happily ever after!As I said, a perfect beach read. 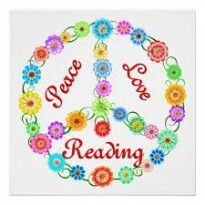 I never questioned the fact that this book would end on a happy note. Sometimes, your reading mood brings you to a book such as this one with no expectations of reading the next 'classic'..........just a great read for a sunny day! !